Aeroplan launched a transfer miles special today for its members. 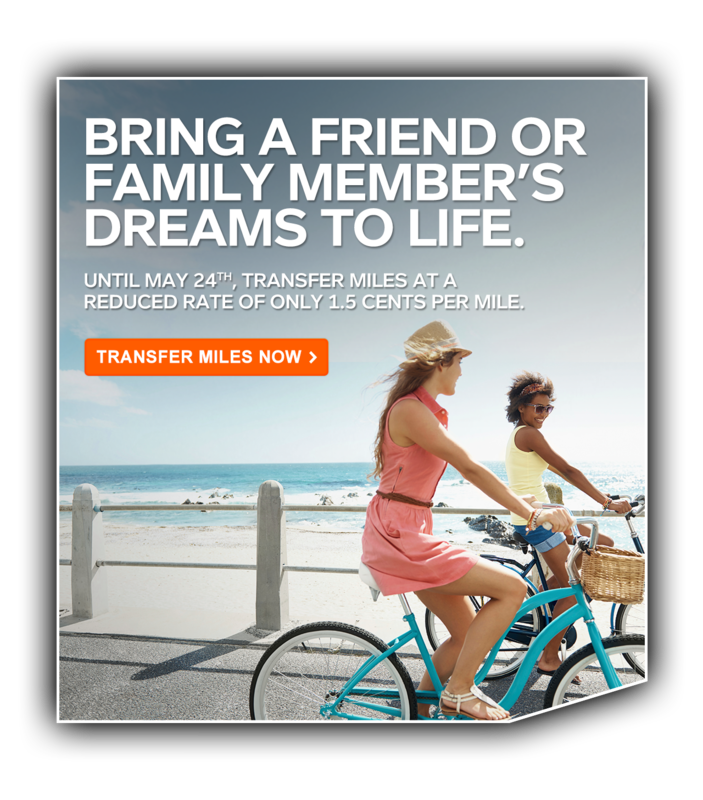 Until May 24th extended to May 31st members can transfer miles to friends and family for 1.5 cents per mile instead of the regular 2 cents per mile. The minimum transfer amount is 1,000 miles and has a maximum of 999,999 miles. Transferring miles is usually not the best use of miles for the cost associated with it unless it is the case of programs like Avianca LifeMiles who at times have had 100% bonus miles for transferring to another account. That being said however, sometimes you may only be a few thousand miles short of an award so being able to transfer miles from a family member to reach that award could be the way go rather than buying miles outright when there is a promotion like this. Even more so if your family member won't ever have enough miles to reach their rewards goal transferring them out to another member to for a valuable reward makes total sense. You're so generous Aeroplan. ho hum. What a great deal - NOT. Other programs charge 1c / mile to transfer. Considering Aeroplan points are typically only worth about 2 cents a mile (although it is possible to get better value on business class seats), this promotion is pretty worthless. Yes I would tend to agree that for most people this is not a good option. But if you only have 5,000 Aeroplan Miles and are never going to use them and you know someone who has 20,000 to reach a flight award, it can make sense.